Princesses and the color pink are both welcome and well loved in our house. 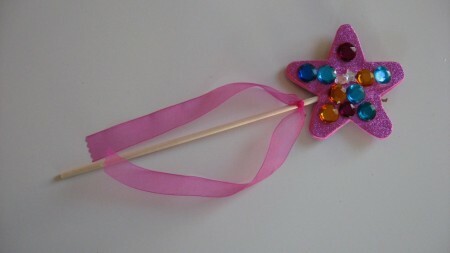 My son’s favorite sippy cup right now is one with Cinderella so we decided to make a princess wand . 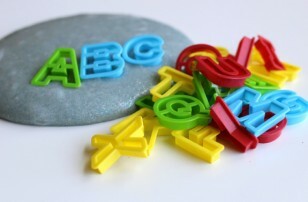 Using sticky back foam is crucial for keeping this craft in the realm of super easy! I couldn’t believe how well it held up to my son’s abuse this morning, the jewels stayed on, although please only do this craft with kids that will not place the jewels in their mouths, they are a choking hazard. You could use markers and simply skip the jewels and glue. Gather your materials. 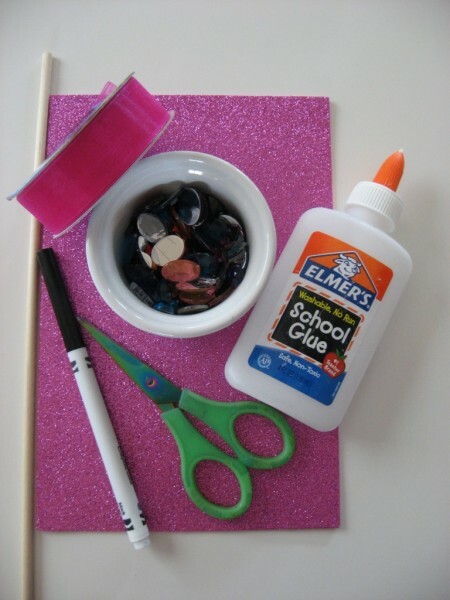 You will need a sheet of sticky back foam ( sparkly if you can), a dowel, glue, plastic gems or sequins, scissors , ribbon and a marker. 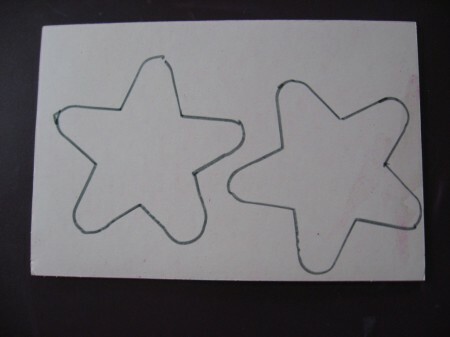 Start by drawing 2 identical stars on the back of the same sheet of foam. 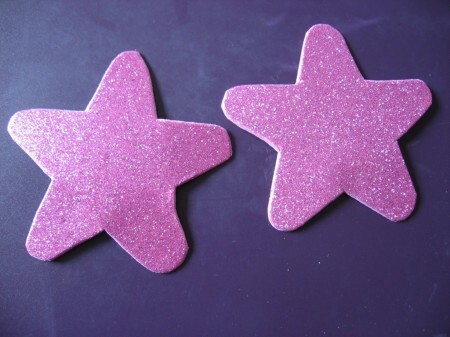 I used a star cookie cutter as a stencil. Cut out. Do not take the back off yet. 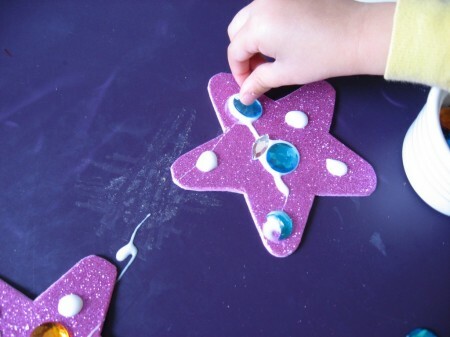 Invite your child to come and glue the gems on. 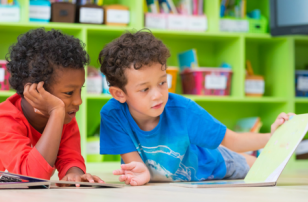 We played with them for a while, pointing out shapes, and colors. Let dry. This took a long time. I pressed all the gems down a few hours after to make sure that the sparkly surface was stuck to the gem. 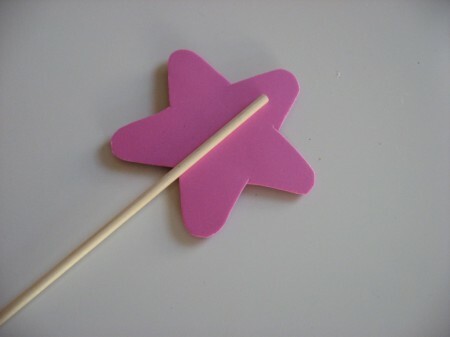 When dry peel back the paper on the underside of the star to reveal the stickiness press the dowel into it. Peal back the paper on the 2nd and sandwich the dowel, press down carefully but with some force. Add a ribbon and you are ready to rule the kingdom! 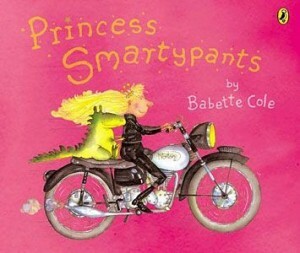 “Princess Smartypants” by Brenda Cole is the antithesis of the classic beautiful frail princess stories, but it still ends with happily ever after. Princess Smartypants does her own thing and doesn’t understand why her family is so obsessed with finding her a husband. She bends to their wishes but still does things her way. I think this is a great message about happiness and confidence for girls and balances out some of the other princess stories. She was happy just the way she is and didn’t need a spouse to feel complete. “Good Night Princess Pruney Toes” by Lisa McCourt is a fun carefree book about a happy loving father and daughter. Princess Pruney Toes emerges from her bath to rule over her kingdom before bed. I love that the dad in this story follows along with his daughter’s imagination. 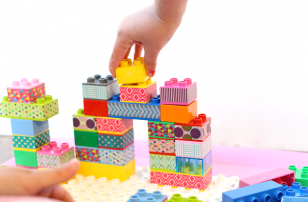 I think it’s so important for parents to play with their kids and what’s better than pretend play? This lovely book is another fresh look at what makes a princess and that even princesses wishes can be easy to grant. 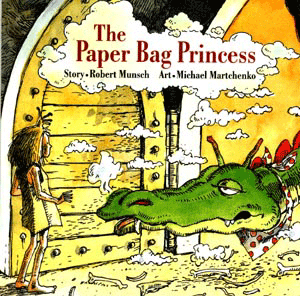 “The Paper Bag Princess” by Robert Munsch is one of my very favorite books. Some parents have shared their dislike of Elizabeth”™s outburst at the end calling Ronald a bum but I think not only is it justified, he treated her horribly, but people say things when they are angry and you can easily use it to teach your child about anger. I think it”™s a wonderful story about a princess taking things into her own hands and saving herself and the prince! My kind of fairytale. Previous Post: Yes They’re Flash Cards ! Thanks for the book reviews, a trip to the book store was already in the plan for today to pick up a book for Daddy. My 4-year-old princess would love-love-love this craft. And I am a HUGE fan of the Paper Bag Princess, or really almost anything Robert Munsch. Us too- we love him! We like the book “Princess Knight” by Cornelia Funke. Certainly not your average princess, either! I so appreciate the note that it’s moderately toddler-proof – very important in our house! I linked to this on my weekly roundup (post is under my name). Thanks for sharing! 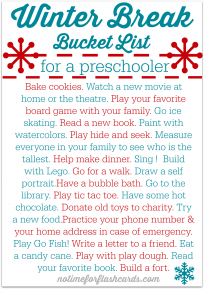 We loved this post. 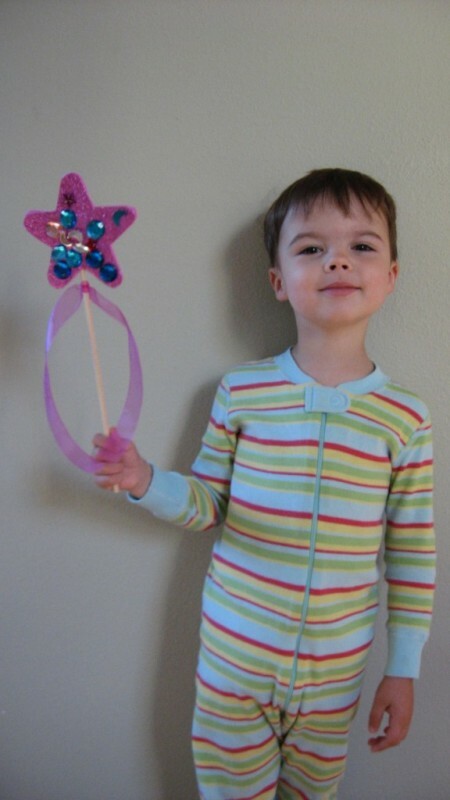 The princess wand is a perfect compliment to creative storytelling! We linked to this on Facebook and Twitter. LOVE this!! I will save this for my daughter’s princess party in June. Very simple, yet so cute. 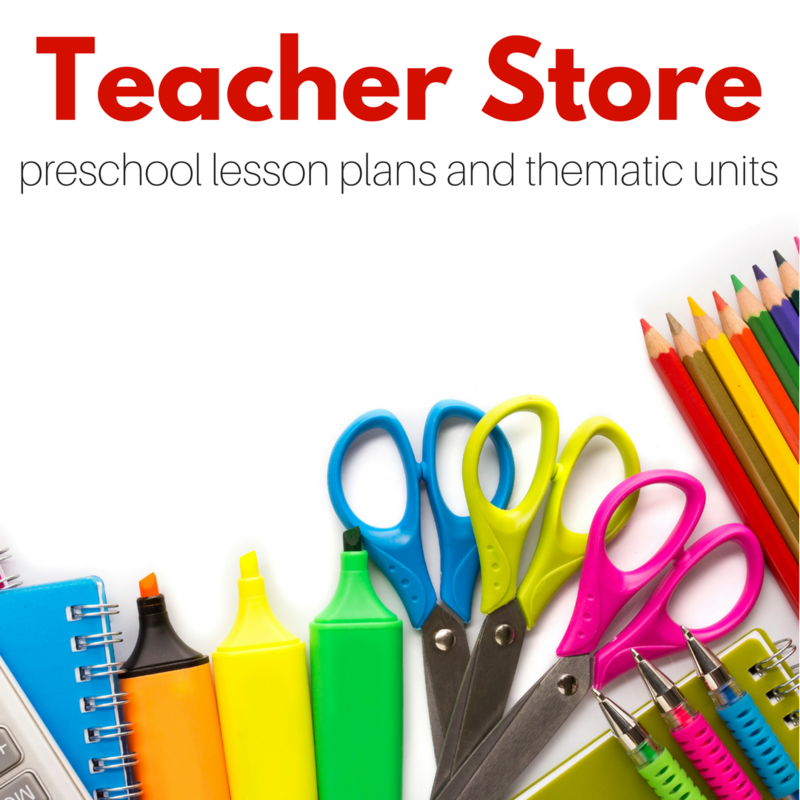 I really love your blog, thanks for all the great tips and ideas.